Hi from eff-ell-ay! I'm stealing a wireless signal! As of this morning, my daughter has been in the Atlantic Ocean. 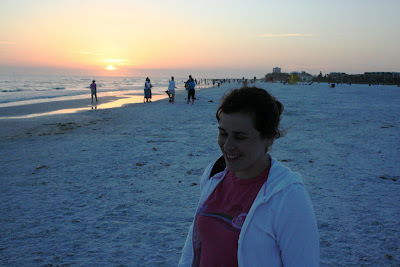 Technically, she’s been in the Gulf of Mexico, I guess, but they’re both the same big bowl of whale pee. Maeve was wearing pants that said “cute catch!” on the fanny. 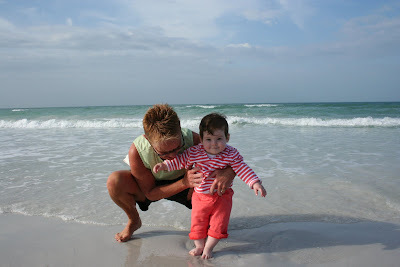 We only got her tootsies dipped in the waves, but she seemed to like it. 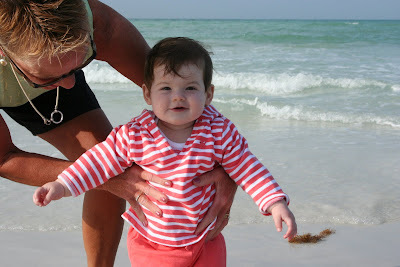 Her Nana was a true child of the Gulf, so Maeve has beach sand running through her veins. 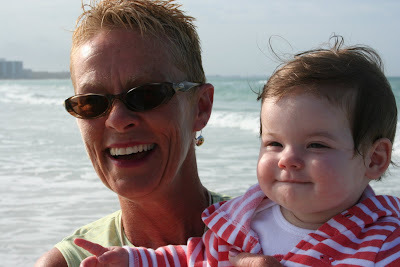 That said, though, her love of swimming (the pool at the Y, the pool here in Florida, the bathtub, etc.) is preternatural. 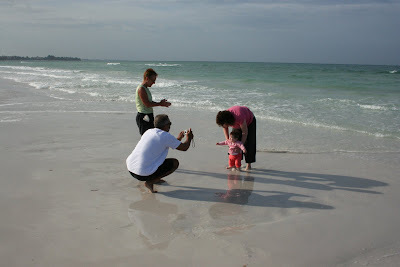 You can see by her curling toes, she seemed to like the sand too, I guess. My wife is so beautiful. She makes my heart beat faster. Those pictures and your comment about your beautiful wife make me weak! 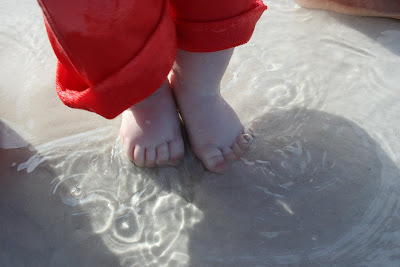 How lucky for all of you, what gorgeous weather, what precious little feet, great blog! That was a very nice thing to say about your wife.